Deuter USA, a well-established international sport packs brand, knew they needed to get it right; they're surrounded by heavy competition in the $20 billion sports and outdoor ecommerce market (Statista). What were we up against? An existing web presence that was rigid and disconnected from marketing. Transforming digital assets into an interconnected marketing and ecommerce machine. Opening up a channel to sell direct to pro users online for the first time in company history. We needed to connect, migrate and update their existing foundation to a new suite of modern software that would give their team control. After years of relying on traditional methods to promote and sell their products, it was time to open up the floodgates and start communicating directly with the customer. The multinational backpack company started in 1898, supplying letter carriers with mailbags and post sacks. Over the last 100 years, Deuter has evolved into one of the leaders in the outdoor industry by manufacturing and selling backpacks, suitcases, and other bags that empower your adventure experience. 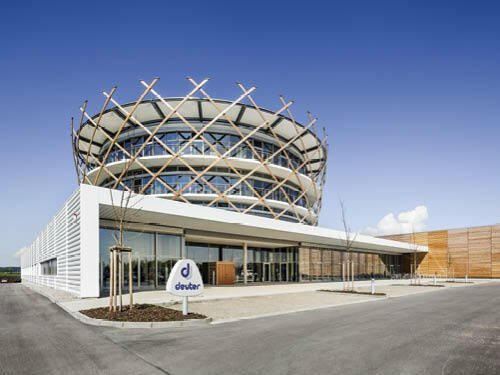 With headquarters in Germany, a subsidiary in the United States, and distribution that stretches globally, Deuter's different sites operate as individual merchant arms under one parent ship. Like many turn of the century companies, Deuter recognized the tactics that had made them successful before wouldn’t continue to sustain the needs of the modern consumer. They realized the need to not only continue retail growth, but to grow their online presence and be available where their customers shop. In short: they needed to embrace inbound, while adapting the inbound experience to their unique position within the outdoor industry. When we first started talking to Deuter, they used their site to inform potential buyers about their products. The functionality was limited and the site operated on an island. Needless to say, it was not a seamless experience for consumers looking for Deuter goods. We needed to set up a presence that would allow Deuter to control their brand, digital environment, and all communication channels with the end user. Our conversations sparked the idea to create a completely integrated online experience for the United States market.The challenge: to build a fully integrated ecommerce system including marketing and inventory connectivity, while adhering to the established brand and approach of the international organization. And, we wanted to do it right. We'd employ the best in breed software and open up customer communication channels in a way not possible before. The complexity of this project stemmed from their technology stack. The store needed to integrate with existing technology used by the global organization, integrate new technology that gave their team control over the site and connected marketing campaigns, and dramatically enhance the teams' ability to communicate with their customers. 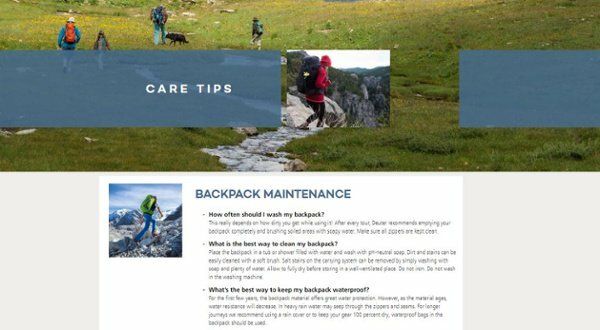 If Deuter USA couldn't make this a reality, they risked being left behind in an industry that was already experiencing rapid transformation towards digital-centric storefronts. Deuter is a high caliber, long-standing company - we knew if we got it right then it could potentially lay the groundwork for the rest of the organization to evolve into a digital workhorse that would burst ahead of the pack in the outdoor industry. It was time to put the pieces on the table, and start connecting them to build a lasting framework for success. Knowing the challenges at hand, we began to map out a system that would allow Deuter to launch their new web presence.The store itself would need to be only accessed through "pro" accounts. An everyday site visitor would not be able to purchase online from Deuter, but still be directed to an appropriate retail partner. The complexities of this split distribution channel required a nontraditional approach to their entire system. A consumer brand's website is its heartbeat. Deuter's site showcases their entire line of products and guides the user to find the right pack for their adventure. It was key to continue assisting shoppers as they work their way through the site, answering questions and providing information along the way. On top of that, we needed to make it easy for anyone on their ecommerce team to quickly make changes and updates on the fly. The need for ease of use, customization by team, and the ability to connect new and existing platforms led us to Shopify. 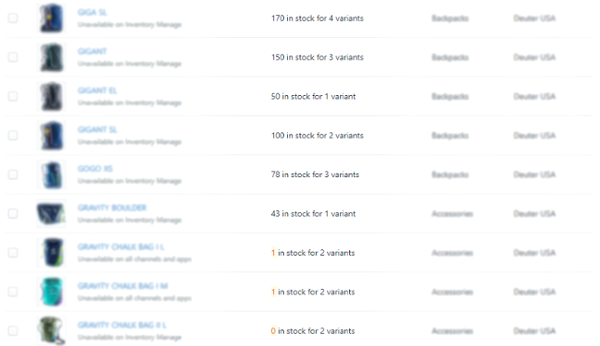 Product findability- with over 200 products, it would be easy for the consumer to get lost. We created a tagging system inside Shopify that allows filtering by fit, activity type, trip length, and price. The filters can easily be added and removed from each product. Professional account launch- since we have a focus on pros and ambassadors, we require accounts to see prices on the store. Using a custom coded solution inside of Shopify, only those invited and approved are able to purchase from the store. Non-professional accounts can still view and access the store, but lack the ability to see prices. 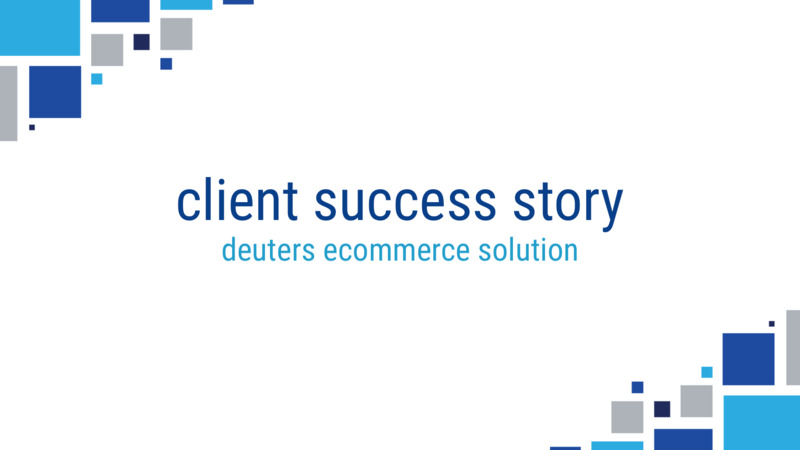 Fulfillment and shipping - the Deuter team needed to be able to continue to use their existing processes for fulfillment and shipping. We connected their USPS account to Shopify and set up their team to receive notifications when a new order comes in and is ready for fulfillment. Order stage tracking - integrating Shopify with HubSpot allowed us to see where all orders are at all times inside the ecommerce pipeline. Order stages inside Shopify are synced to the ecommerce pipeline inside of HubSpot. Payment processing - we worked with their existing payment processor, Serve First Solutions, to accept payments in the new Shopify store without the need to change payment processor. This required a custom integration between the processor and Authorize.net, and then integrating Authorize.net with Shopify. Transactional emails - from the moment a pro customer places an order, to the moment their package lands on their doorstep and everything in between, emails inside of Shopify enable the customer to see where their order is at. Locally - building Locally onto the product pages, shoppers can continue to find a store close to them that is carrying the product they're looking for. This custom coded solution allows for on-page search and conversion and supports local retailers of all sizes. 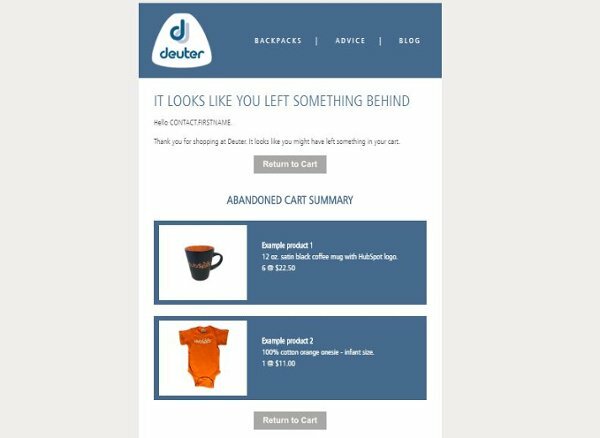 Online Retail Channels - using custom fields in Shopify, Deuter can add tracking links to their retailers from individual product pages. This continues to support the retail arms of the business and drive non-pro account traffic to those sites while boosting presence across the web. Microsoft Dynamics AX integration - custom integration built to allow inventory management in AX, while syncing to Shopify to show correct inventory levels for each product. Syncing with existing inventory levels was key to connecting with the traditional sales channels. The final product resulting in real time inventory levels inside of Shopify. Bazaarvoice - review software built onto every page for review management and product reputation growth across all stores. Since the products are consistent across the Deuter family, we kept the product reputation management the same as the German site. If Shopify is Deuter's heartbeat, HubSpot is the brain. To get the full use out of contact data coming from Shopify and to maximize marketing automation for revenue growth, we needed a marketing automation platform that could seamlessly connect to our ecommerce store. This included building from the ecommerce data already available in Shopify, intelligently communicating with customers and contacts using that data, and continuously growing the contacts inside of our flywheel, all while operating under one common roof. Without the unification of the entire marketing suite, the ecommerce piece of this system would be operating with its hands tied behind its back. The need for HubSpot's robust marketing capabilities was obvious. Paired with ecommerce functionality inside of HubSpot, we built our system inside of a connected framework that fully utilizes every aspect of the platform. HubSpot/Shopify native integration - we made full use of the Shopify to HubSpot integration. As a new integration, it unlocked capabilities that previously required custom developed solutions. Once installed, we then had access to ecommerce reporting, ecommerce automation, and the ecommerce pipeline with insight into products, orders and deals. Ecommerce data inside of our marketing platform, and the ability to use that data to customize marketing communications, is a revolutionary capability. HubSpot migration - we brought over all the non-product pages from the old site into HubSpot, including all blog and content pages and warranty and customer service forms. HubSpot CMS gave the Deuter team full control over their blogs and video content and the ability to preview and publish posts at the snap of a finger. 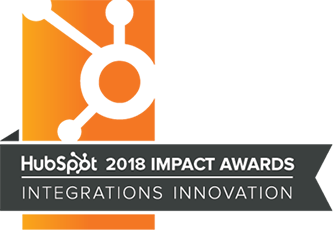 HubSpot forms unlocked full control of contact entry points, allowed us to create customer tickets through Service Hub automation, and continued to segment our database. Database segmentation and management - we brought over all the non-product pages from the old site into HubSpot, including all blog and content pages and warranty and customer service forms. HubSpot CMS gave the Deuter team full control over their blogs and video content and the ability to preview and publish posts at the snap of a finger. HubSpot forms unlocked full control of contact entry points, allowed us to create customer tickets through Service Hub automation, and continued to segment our database. Ecommerce email automation - we designed and developed new email templates - using HubSpot ecommerce best practice - that dynamically pull in order data, abandoned product information, and other behavioral data to truly customize communications with contacts. Ecommerce pipeline and reporting - we brought over all the non-product pages from the old site into HubSpot, including all blog and content pages and warranty and customer service forms. HubSpot CMS gave the Deuter team full control over their blogs and video content and the ability to preview and publish posts at the snap of a finger. HubSpot forms unlocked full control of contact entry points, allowed us to create customer tickets through Service Hub automation, and continued to segment our database. Connected team inboxes - as expected with a consumer product, Deuter gets a fair share of customer support inquiries as warranty claims. We connected their team inboxes to manage these inquiries so that the team can track new conversations and manage the flow of ongoing communications. The team can now track new inquiries, create a ticket, assign a team member to follow up, and see a contact's history, all without leaving the HubSpot Conversations Inbox. Getting the team familiar with the conversations tool is a crucial building block to rolling out a bot and chat functionality in future iterations. Service Hub - we built a complete ticketing system inside of HubSpot Service Hub to track the progression of an incoming new warranty ticket, to the repair of the product in the warehouse, to the point that the customer is returned their product. Using board-view, a team member who is removed from the day to day can get a glimpse of the tickets currently in process. Service Hub reporting now gives Deuter insight into customer service and satisfaction metrics for the first time in company history. HubSpot analytics - the native integration with Shopify allows us to track store analytics without installing any extra code or plugins, ensuring a full reporting glimpse across both the store side and the content side. The foundation that was set is one that is hungry for growth. The pieces are in place and their website is ready for the foot to hit the accelerator and charge forward. The impact goes far and beyond newfound capabilities now seen on the surface. The ability to communicate directly with their customers opens up a new side of online growth, but the long term impact of these capabilities is what tells the true story. Deuter can now monitor online trends to make intelligent business decisions on what their end user ultimately wants to purchase, what they would like to see more of, and what product-specific traits are selling best. They can now make all of their products seen on the store, not limited to what a retailer decides to promote. In this customer-driven market, Deuter can now show their customers all the options that they may want and need. They put the purchase decision in the hands of the customer who expect to see all available products and match them to their unique interests. Complete brand control allows their marketing team to launch a new piece of content, showcase their products, and then send the viewer to a product page on their site. All communications maintain Deuter branding, promotional elements send contacts to strong product pages, and customer feedback surveys gauge happiness. There is a coherent brand message from the start of the customers' purchase journey to the end. Through their Shopify site and HubSpot's marketing suite, Deuter now has a direct line of communication to their customers. From the moment the customer enters the system, they can now contact them if there are any issues or details that need to be ironed out. They can follow up and ask for the customers to leave a review on their site after the customer has had a chance to use the product. They can receive warranty and customer service requests all on the same platform that the rest of the communication happens on, keeping track of a customers' activity and information all in one place. This ecommerce system is flexible for the changing needs of the customer, agile for team control, and capable of giving customers the microphone. It's armed for flexibility, built for growth. Hear from Jenny Fischer, Deuter's Ecommerce Strategist on the challenges faced in this taking on this project and how Deuter is positioned for future growth. Deuter's steps to build an ecommerce system that is truly connected to the customer surges them to the front of the pack in the outdoor industry and beyond. The digital arsenal they're now equipped with positions them to launch a cohesive online presence, and their understanding that the customer matters most is the juice that powers their decisions. Working together, we've taken their existing system that they were grandfathered into and mapped a clear path forward into the next generation of digital. Play the video to hear eCommerce Strategist Jenny Fischer's take on fulfilling Deuter's brand promise.